Eric Caplan's fascinating exploration of Victorian culture in the United States shatters the myth of Freud's seminal role in the creation of American psychotherapy. Resurrecting the long-buried "prehistory" of American mental therapeutics, Mind Games tells the remarkable story of how a widely assorted group of actors—none of them hailing from Vienna or from any other European city—compelled a reluctant medical profession to accept a new role for the mind in medicine. By the time Freud first set foot on American soil in 1909, as Caplan demonstrates, psychotherapy was already integrally woven into the fabric of American culture and medicine. What came to be known as psychotherapy emerged in the face of considerable opposition, much—indeed most—of which was generated by the medical profession itself. Caplan examines the contentious interplay within the American medical community, as well as between American physicians and their lay rivals, who included faith-healers, mind-curists, Christian Scientists, and Protestant ministers. These early practitioners of alternative medicine ultimately laid the groundwork for a distinctive and much heralded American type of psychotherapy. Its grudging acceptance by both medical elites and rank and file physicians signified their understanding that reliance on physical therapies to treat nervous and mental symptoms compromised their capacity to treat—and compete—effectively in a rapidly expanding mental-medical marketplace. 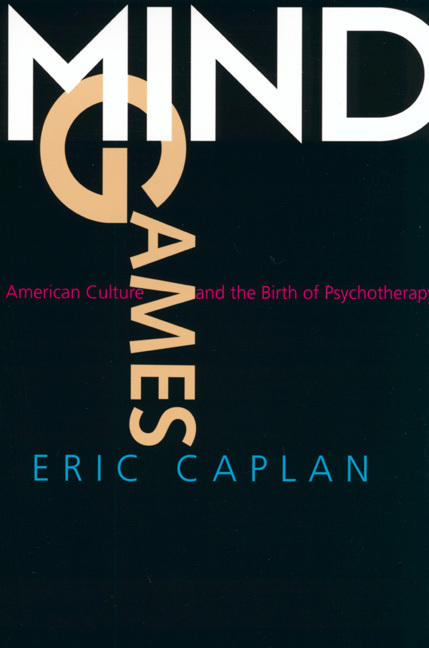 Mind Games shows how psychotherapy came to occupy its central position in mainstream American culture. An award-winning teacher and former William Rainey Harper Fellow, Eric Caplan has taught at the University of Michigan, the University of Chicago, and Wesleyan University. He is currently on staff at the Pfizer Research University.